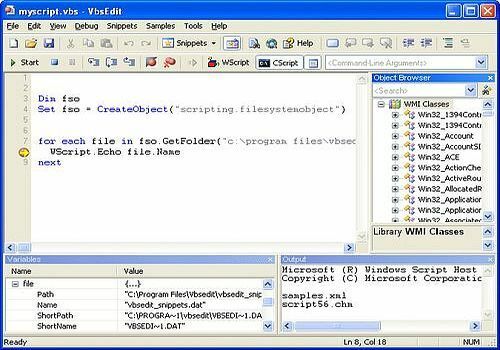 The award-winning VBScript editor that dramatically reduces the time you spend writing .VBS scripts. Features include Syntax coloring, Built-in debugger, Auto-capitalize and Auto-completion features (list object members, display parameters info, complete words), Dynamic help (If you press F1, help is provided for the word under the cursor), Code snippets, Tons of Samples scripts, Object browser, WMI classes browser, WMI code generator. DTM Data Scrubber est un ensemble d'outils intelligents pour la vérification des données et l'épuration.